I tried to emphasise the rounded M4A1 cast-hulls with a double-highlight: an intermediate , just slightly lighter highlight, then a more confined, lighter highlight painted within the previous. It looks OK representing a softer edge without too much extra work (they're enough as it is!). Rear deck view: lots of clutter and stowage added in addition to the pre-moulded resin bits. The painting thereof adds a fair bit more time but is probably worth it. 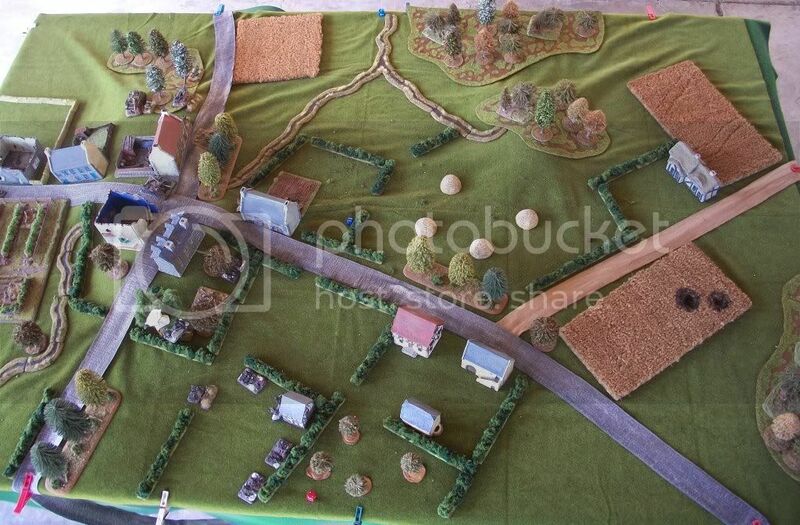 Just one section here, with M20 Utility, Carbine teams, Command Jeep and extra Jeep for Mid War organisation. 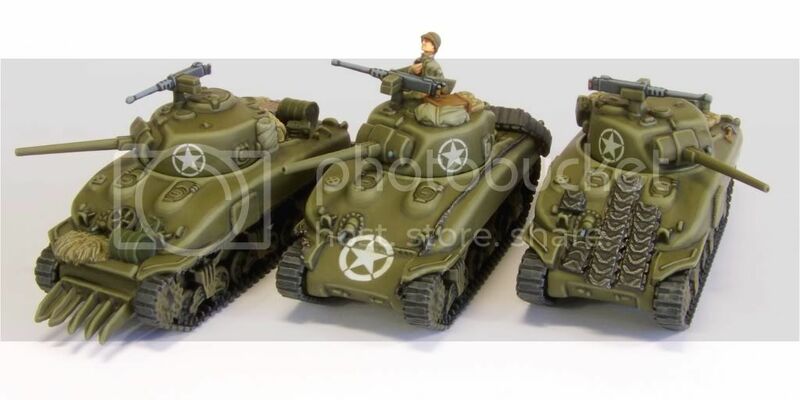 M10s are definitely one of my favourite US vehicles of WWII. NOTE: Part 1 has also been updated, while the Italian Theatre content has been moved to Part 2 and expanded a little. 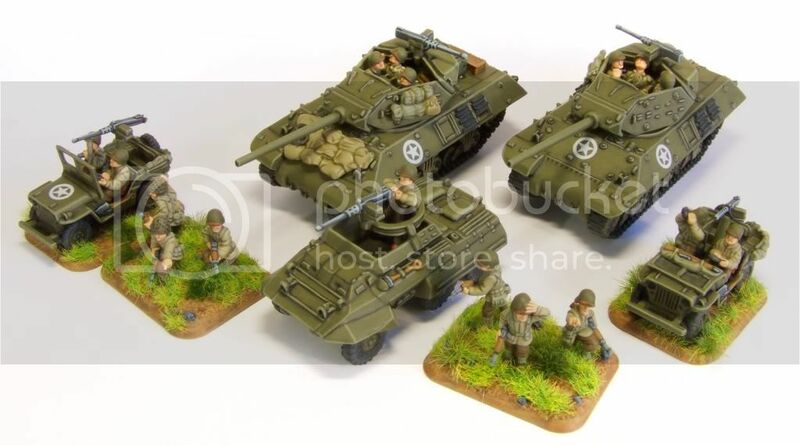 Following on from Part 1, Part 2 will focus on painting British Infantry for the Mediterranean Theatre, in particular forces in Sicily and Italy from 1943-45. After clean-up the figures are undercoated black. 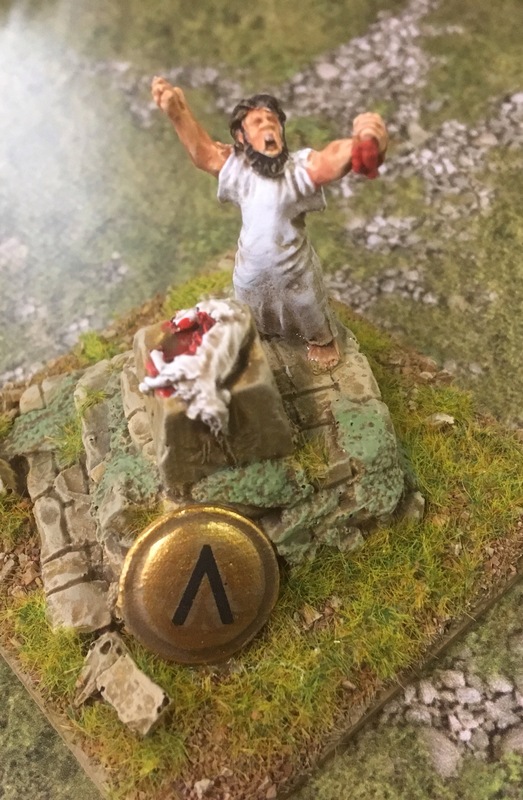 The flesh was shadow VGC Tan, base Dwarf Skintone. Brown Violet was then used as a shadow colour for both the Khaki Drill shirt and the webbing. US Olive Drab provided the shadow for the Battledress, canteen and wood on the rifle and entrenching tool. The webbing was painted Khaki, followed by English Uniform for the trousers and Vallejo Model Air Olive Grey (or any dark green) for the PIAT shadow (below). The shirt was then painted with a 50/50 mix of Brown Violet and Khaki. The webbing highlighted (confined mostly to the edges) with US Tankcrew Highlight. Wood and canteen Flat Brown, PIAT and case VGC Cayman Green, metal areas and boots black, then German Grey. The Flesh was also highlighted with VGC Elf Skintone. The shirt was then highlighted with pure Khaki, trousers with Khaki Grey, wood with VPA New Wood, the canteen with Flat Earth with some US Tankcrew Highlight mixed-in. Metal highlighted with London Grey, Painted metal (PIAT, etc) with VPA Italian Tankcrew (confined to edges). An alternate scheme for the shirt (more Tan in colour) is a base of VPA Canvas on the shirt while the webbing was done in the lighter variant, Stone Grey over a Khaki shadow colour. The shirt was then painted Khaki, while the PIAT was painted in English Uniform followed by Khaki Grey as an (incorrect, as it turns out) colour for SCC2 Brown*. 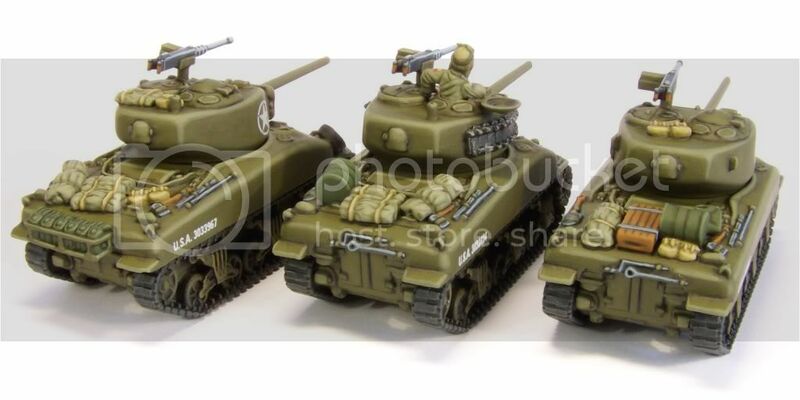 *SCC 2 Brown was the colour British Equipment was painted for units serving in the Tunisian British 1st Army as well as most lend-lease equipment sent to the Soviet Union. The correct mix from Mike Starmer: ‘SCC 2 brown is Vallejo 3 parts 873 US Field Drab + 2 parts 871 Leather Brown’: or, for a sufficiently-accurate out-of-the-bottle colour, 826 German Camo Medium Brown. 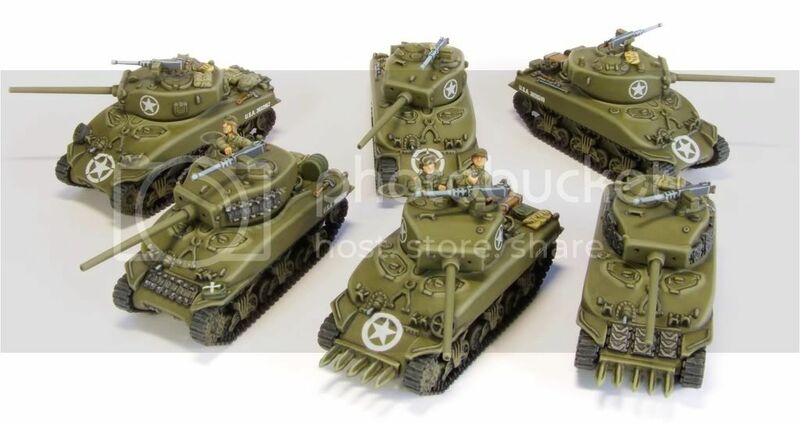 *An alternate colour for painted equipment in Sicily and Italy, particularly for 1943-44, is Light Mud, Vallejo 988 Khaki. The shirt was highlighted with a 50/50 mix of Khaki and white, while the webbing was also highlighted with a 50/50 mix of Stone Grey and White. The painted equipment was also highlighted a little with 914 Green Ochre to add a little distinction from the trousers. The finished figures show BD trousers with KD shirt and very sun-bleached webbing. Equipment also is in the older SCC 2 Brown, carried over from Tunisia perhaps? Note that the KD shirt can be painted with English Uniform as Battledress with rolled-up sleeves just as easily, as shown on the Sikh figures below. One point I will make is this: if the colours used for the KD shirt and the webbing are too close, they will 'morph' into each other: picking lighter colours can help differentiate between the areas which, IMO, is on of the main points of painting 15mm effectively. The British largely used two bolt-action rifles during the Second World War: The SMLE (Short, Magazine, Lee-Enfield), more properly known as No. 1 Mk. III and the later variation, the No. 4 Mk. I. The former was the most common in the Mediterranean, while the No. 4 was issued largely to the divisions intended for the invasion of France, making an appearance in other theatres later. If you look at a picture of the No. 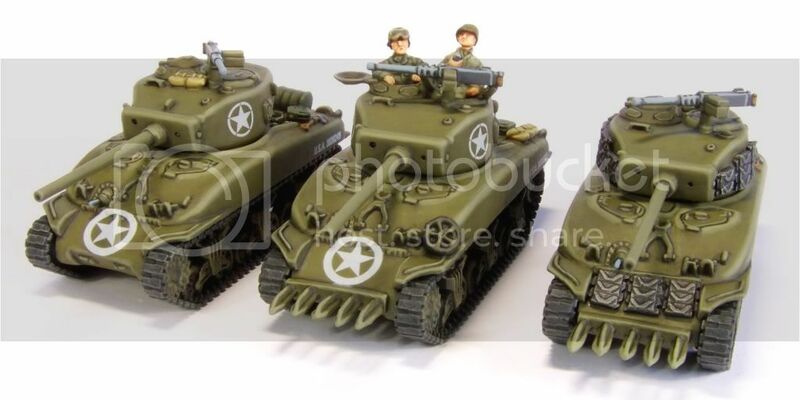 1 MK III (top picture), you’ll notice along the top of the rifle there are several sections which, unfortunately, most painters seem to simply ignore and paint metal. However, the appearance of the rifle is greatly improved if a little attention is paid to the weapon. 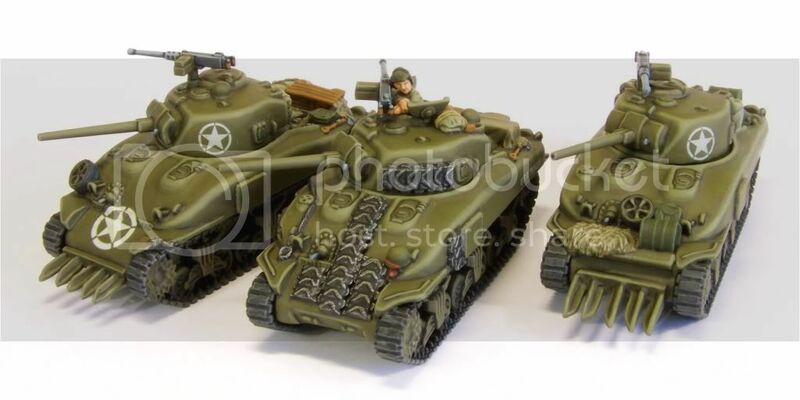 The details on the BF models are often obscured by mound-lines, but they are visible on most examples, just faint. Before undercoating in the clean-up stage I try to emphasise these, cutting in lightly with a blade and attempting to re-form any detail obscured after removing the mould line. Generally, I do this on all areas e.g. webbing, sleeves, etc., but especially on weapons. On to painting: the picture above shows a simple method I use for the No. 1 MK III to give the rifle a distinct look from the No. 4. The metal band midway down the rifle I tend to ignore, simply hinting at it with the shadow from the wood. Also note in the picture above the metal band between the trigger mechanism and the breach which, if visible on the figure, adds further detail. The metal was painted black, then German Grey and finally London Grey/Codex Grey for highlights. A few well-placed highlights can really emphasise small details like the magazine and trigger guard. The final result is not a perfect representation, but a little time spent in an attempt to portray more accurate weapons is, I feel, well worth it. Serving in Italy under British Command were Commonwealth forces from many countries. Some of the most unique (at least from a painting perspective) were those from India. The 4th, 8th and 10th Indian Divisions all saw combat in Italy and were comprised of a myriad of troops from different ethnic backgrounds such as Ghurkhas, Punjabis, Marathas, Sikhs, and so on. For the most part they wore standard British uniforms, wore Mk II helmets and used British equipment. Battlefront however chose to make a separate range to cover the Sikhs, with Sikh soldiers wearing the Pugri, a turban-like piece of headgear which makes their figures rather distinct. These figures are taken from Battlefront’s BR782 blister. While visually attractive, the Pugri is a pain to paint properly, and one must always remember that that vast majority of Indian troops simply wore helmets. One of the more difficult propositions when painting Indian infantry is the colour to use for flesh: the wrong brown looks ‘wooden’, too dark and the colour doesn’t show up clearly, too light and they look more Caucasian. However, there was (and is) a great variety in shades of skin in India according to different ethnic backgrounds: from very fair to very dark and every hue in between. Suffice to say I went for an abstracted approach to painting Indian skintone, much like painting Caucasian really. An alternate, lighter scheme starts again with a shadow of Burnt Umber, followed by US Tan Earth and a 70/30 mix of 874 US Tan Earth and 918 Ivory as a highlight. Which colours you use will depend largely on the unit you’re representing or personal choice. These were just a few of the schemes I have used and I am quite sure there are many other alternatives. 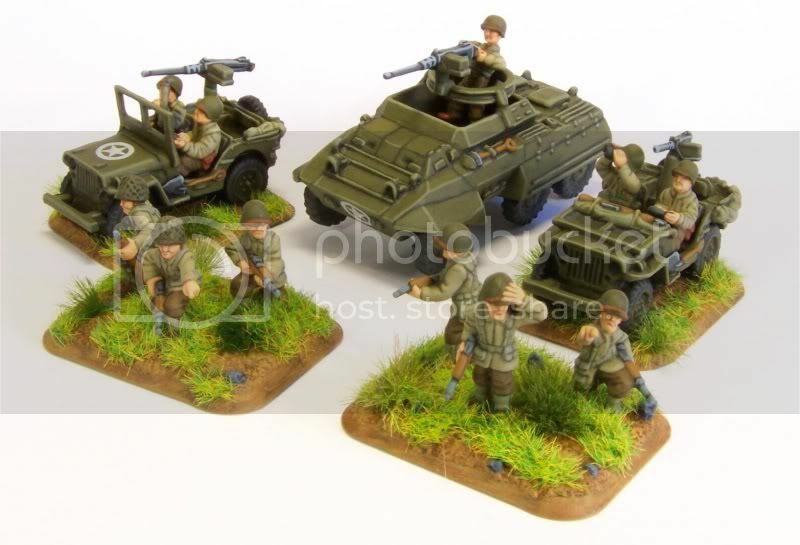 In Part 3 I’ll get to a few other points such as Commando webbing, Berets and painting Denison Airborne Smocks in 15mm. 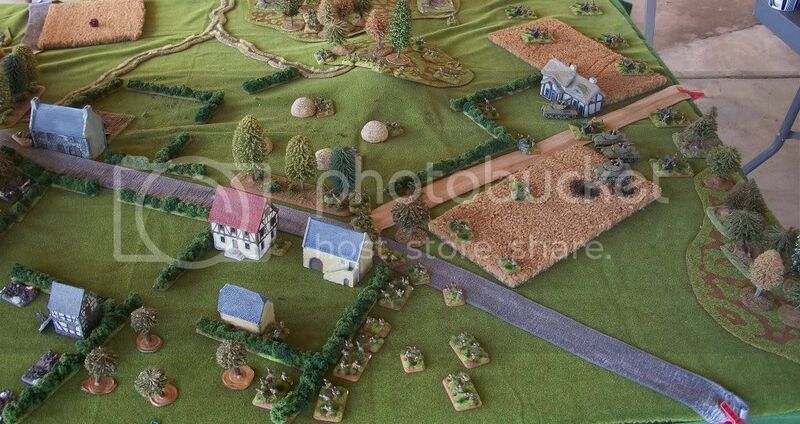 The 2nd British attack on Breville. My force was unchanged. Colin built one of his "custom defensive companies" with as many platoons as possible. 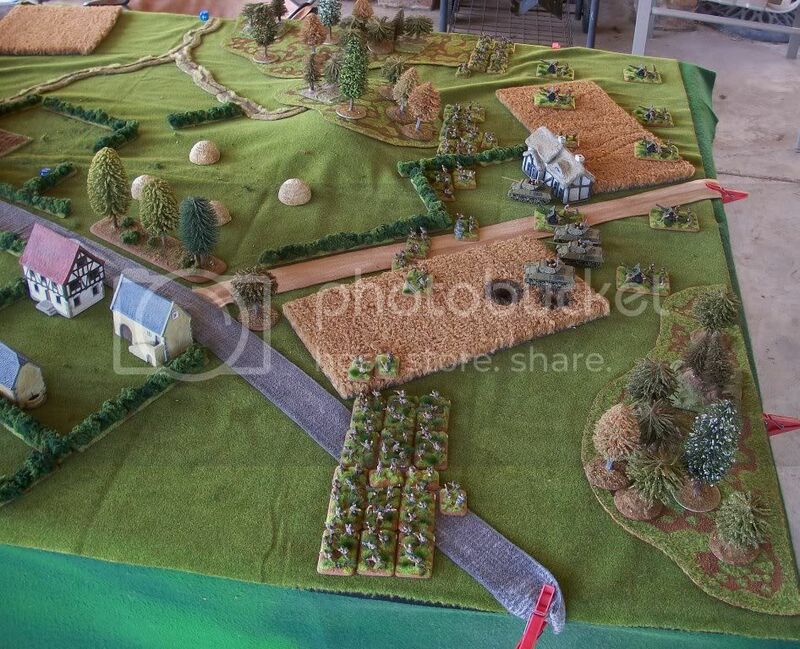 The Table, Germans deployed Grenadiers, Mortars, PaK 40s and more Grenadiers. On Turn 2 a German Grenadier Platoon doubles on from reserve. Apart from that the Germans do nothing. 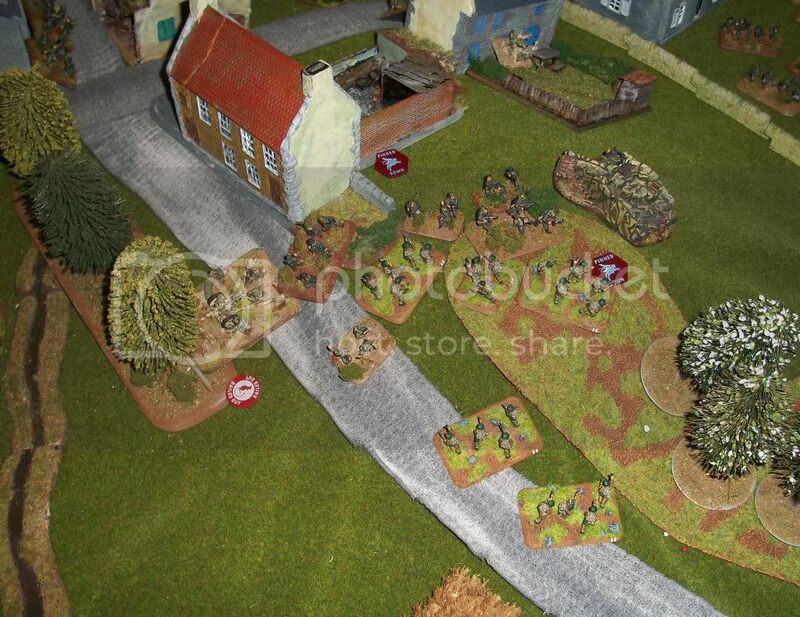 The Commando 4th Section moves up to assault the Grenadiers. 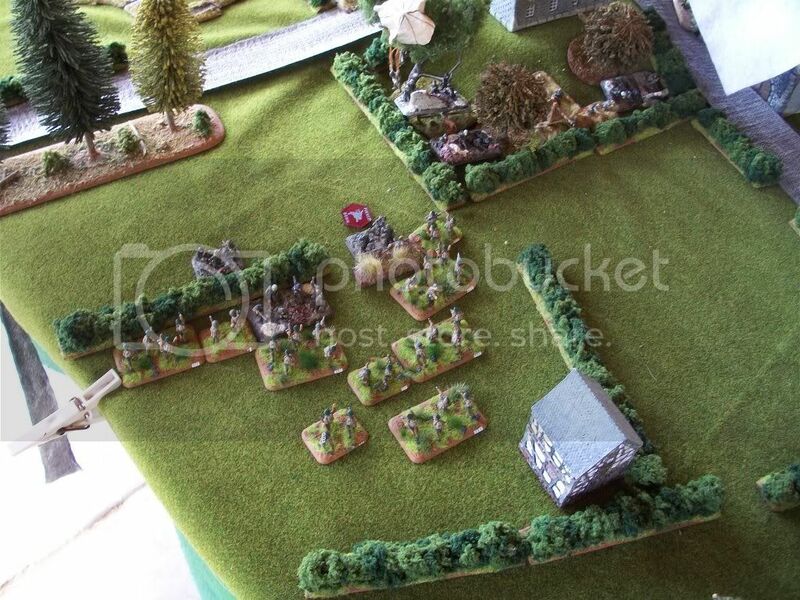 25-pounders provide the pin; the assault destroys two teams and the Grenadiers break-off. 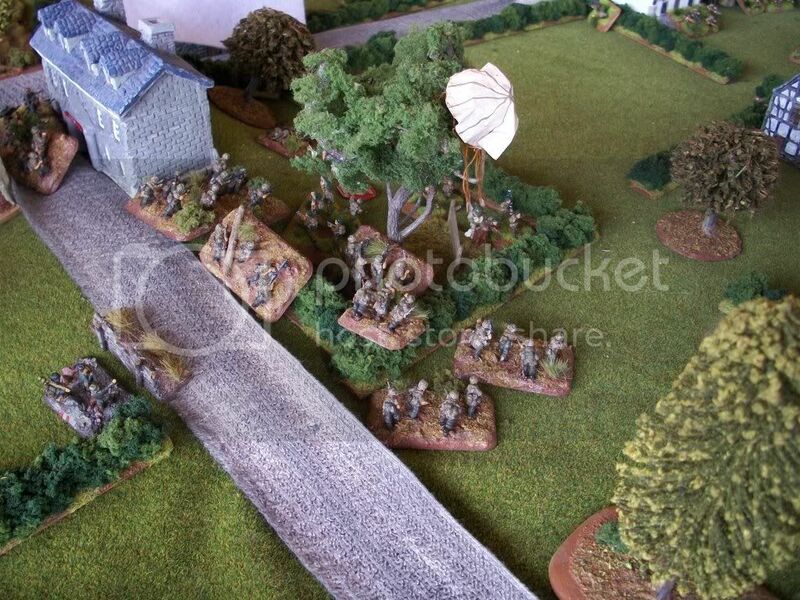 Elsewhere, German Nebelwerfers and a pair of 20mm FlaK arrives from reserve. 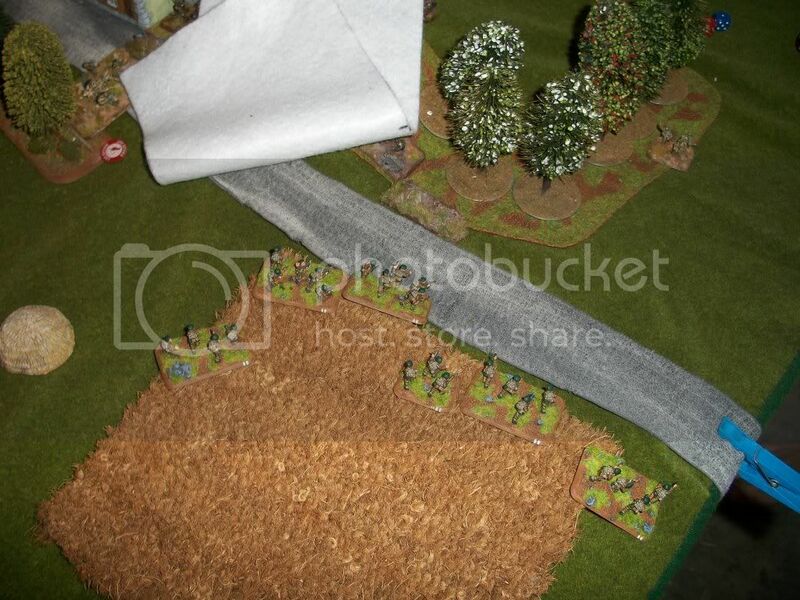 Commando 4th Section assaults the (still pinned) Grenadiers again, destroying them over two rounds. 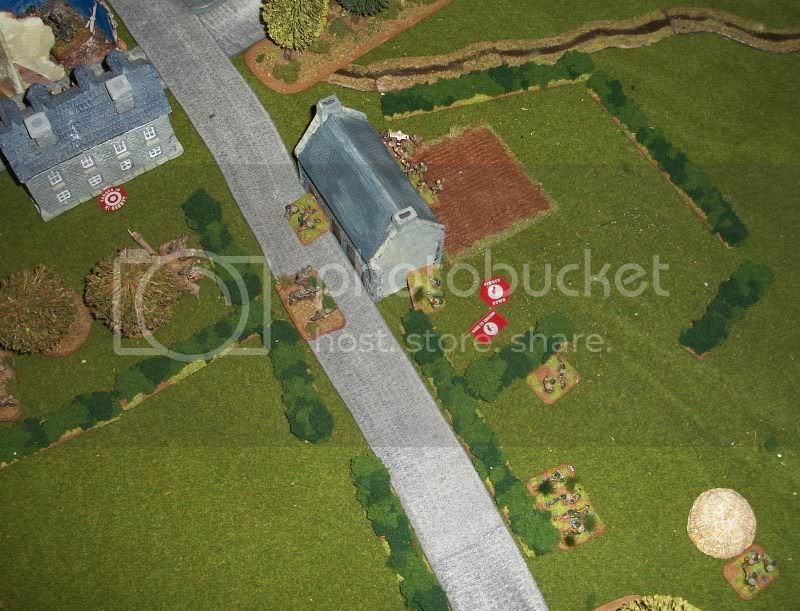 They then Breakthrough-assault the PaK 40 and observer in the orchard (destroying both) and consolidate around the objective. 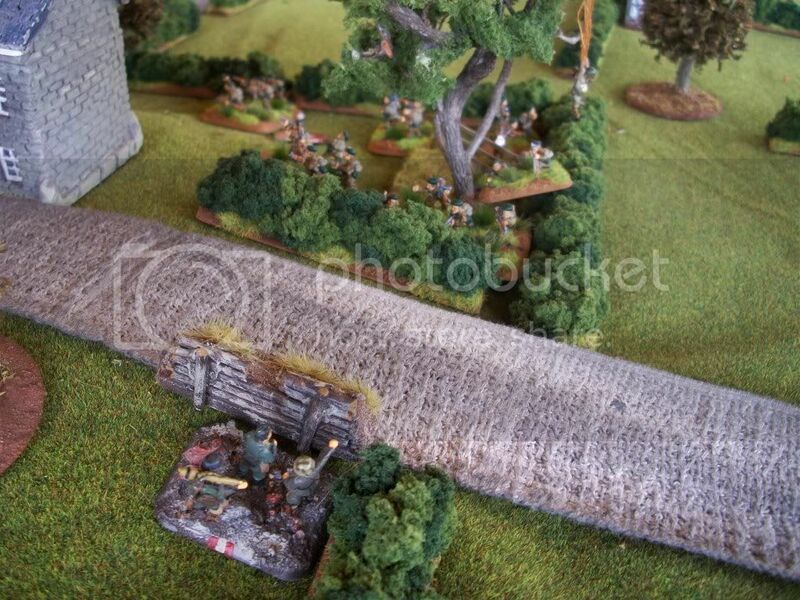 The inevitable assault forces the Commando to break off, and I then fail motivation for being below half. M10s also take fire, losing 2 vehicles to Marder fire. Nebelwerfers later snipe another and the platoon departs. 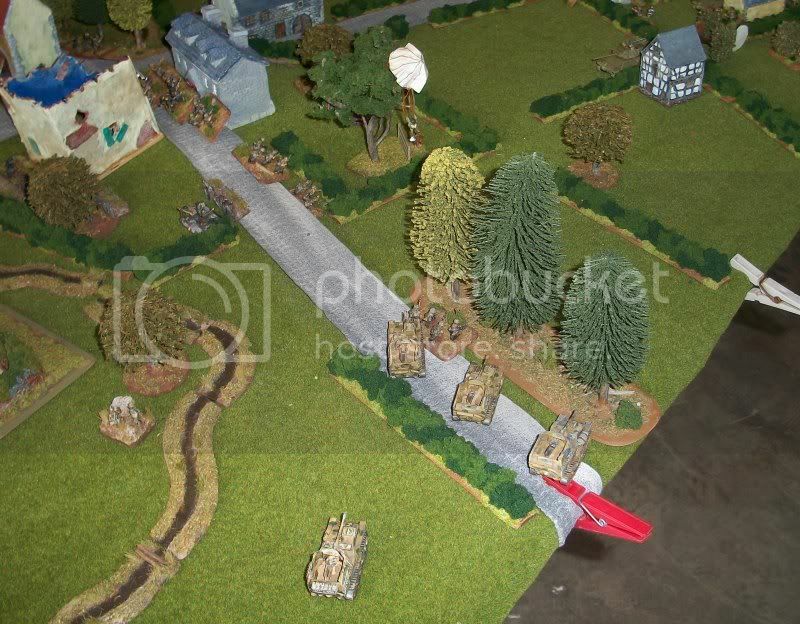 I smother the FJ platoon with artillery and MG fire, destroying nearly half the platoon. 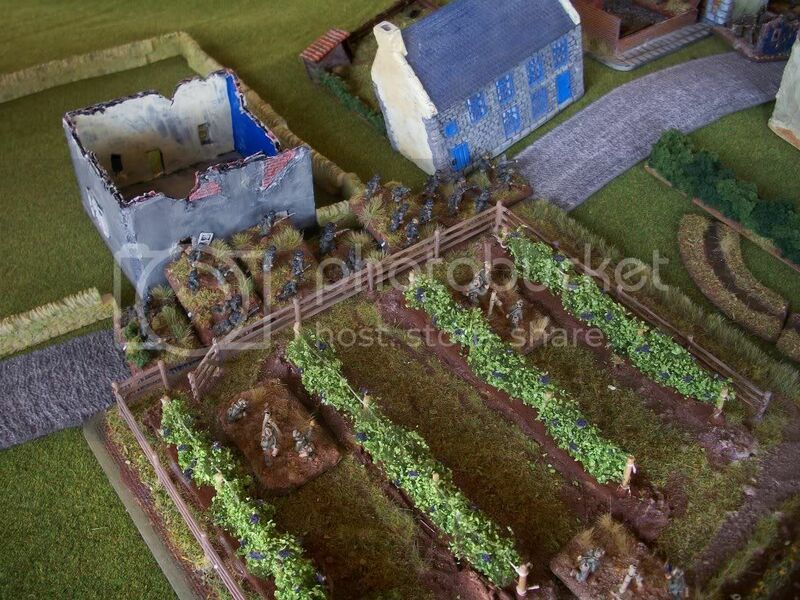 Commando 1st Section then clears Grenadiers from the southern-most house. In Colin’s bound Scouts and 2 HMGs double-on from reserve. 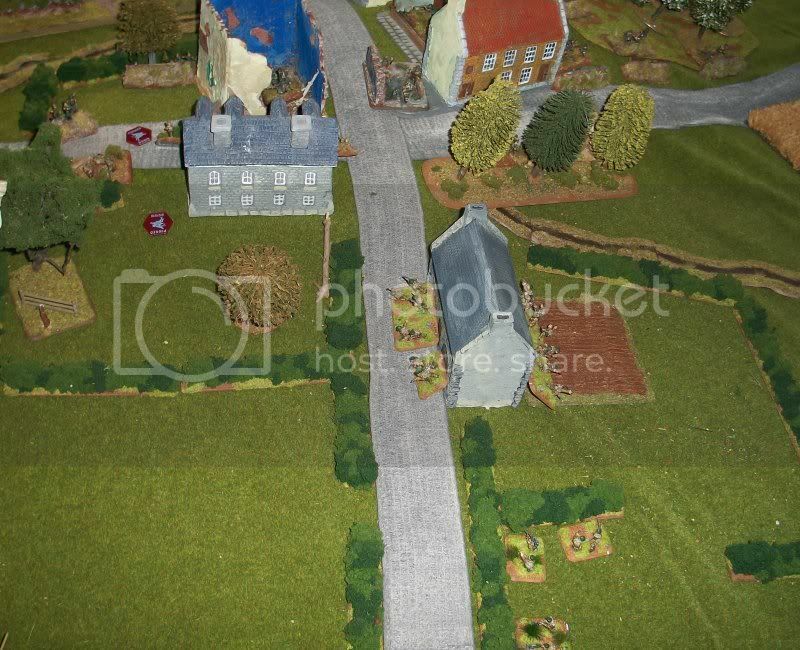 The FJ launches an assault against the house the 1st Commando Section just took, but drag in the Commando 3rd Section. Despite 12-odd shots I only manage 4 hits, but destroy 2 out of 4 assaulting teams. 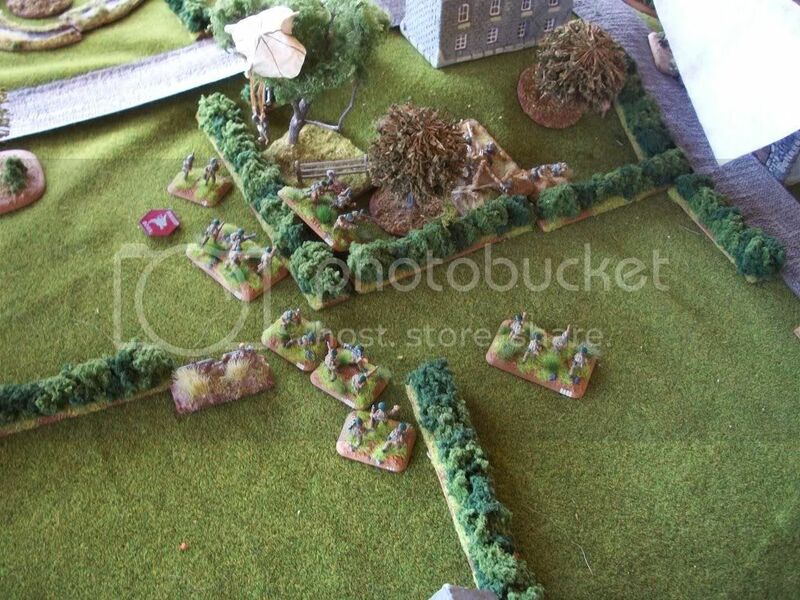 Colin then destroys a team, and the Commandos wipe-out the FJ in the counter-attack. 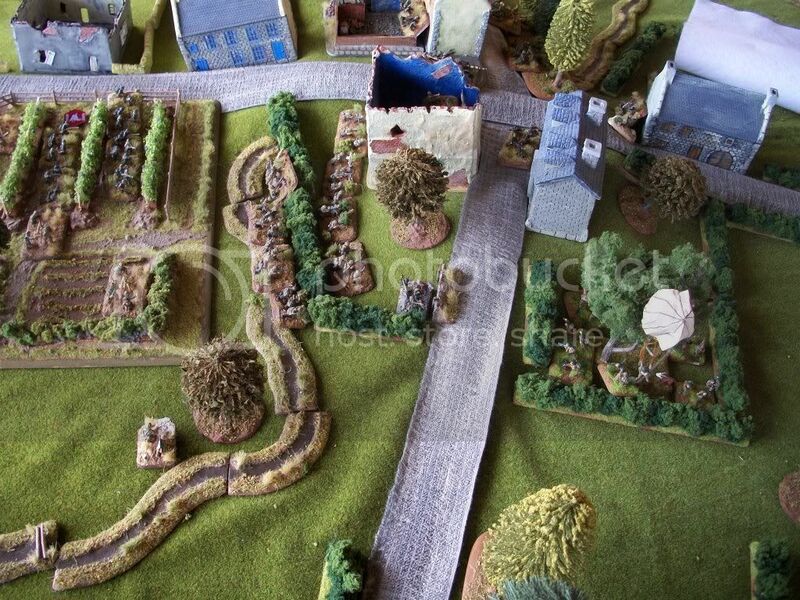 Commando 2nd Section, having been advancing up the British right under the cover of a smokescreen, now launches an assault into the wood. Several Grenadiers and 2 HMGs are destroyed. 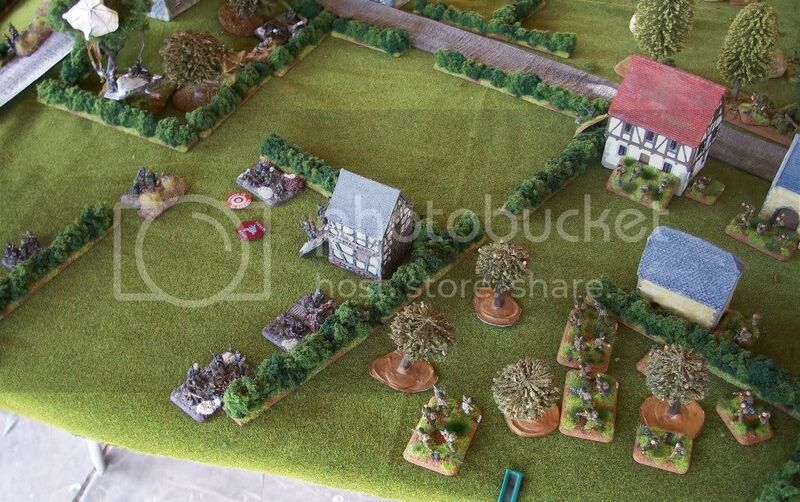 All German platoons counter but to little damage, but annoyingly I then fail to counter and have to break-off. Despite not having actually “finished” the campaign, Colin and I both agreed to call it a stalemate. Retrospectively we should have started this earlier I think, as we’ve both been using the current armies for a while now and feel the need for a change of forces and playing style. I also found the usual problem: keeping other people interested in a campaign of any sort can be tough. I suppose as I am very interested by the whole history of the forces and fighting in the Orne Bridgehead this isn’t a problem for me. A disappointing way to end the campaign nonetheless. I should have Part 2 of the British Painting Guide finished in the next week or so, I’ve just been preoccupied with other things lately. I will also amend the posts: Part 1 will be re-worked and focus on British Infantry in North-West Europe, Part 2 Italy and Part 3 Commandos and Airborne. So they’ll be WiP for a while since I can never do things in the correct order, but ultimately the division into theatres should make more sense and be much more useful.